I’ve been enjoying knitting my socks and baby cardigans that I thought it was time I try and knit a full sized garment for myself. 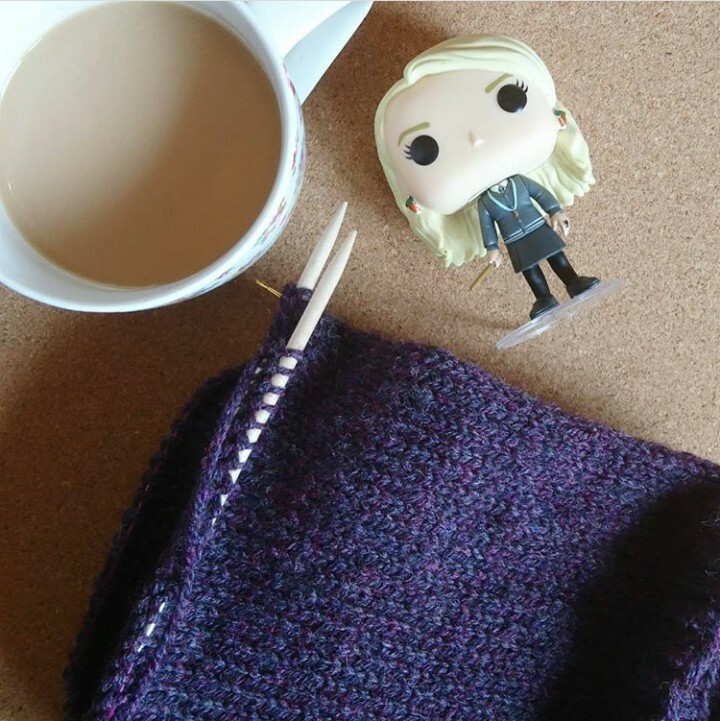 I’ve been building up my Ravelry library of things I’d love to knit/crochet and at Yarnfolk in the summer I bought some beautiful merino wool/silk ​skeins with the aim of knitting a So Faded sweater for myself. However, as these skeins were very expensive I decided to knit myself a jumper out of a cheaper yarn just to make sure that I wasn’t aiming too high. 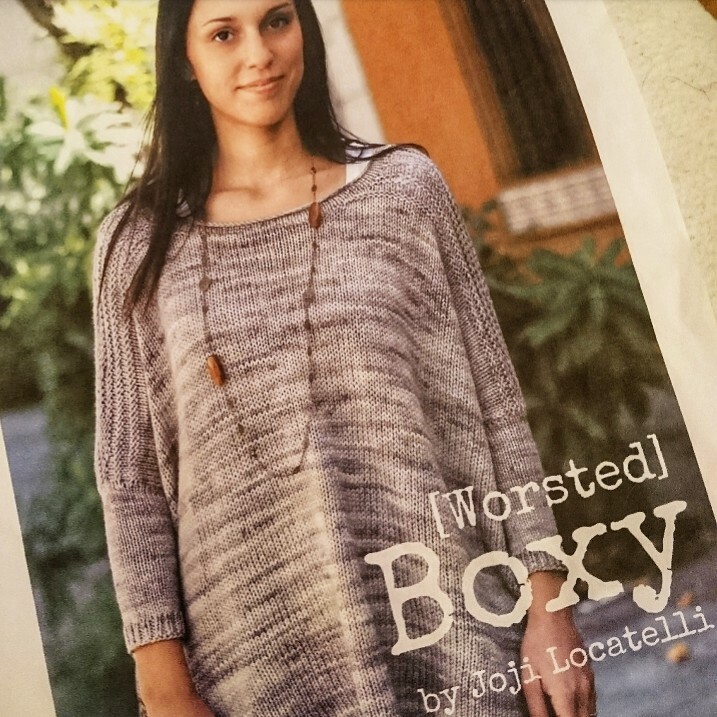 I had heard several people online mention the Boxy sweater by Joji Locatelli but they had complained that knitting it out of 4ply took forever and they had wished they knit the worsted version. So following their advice I bought the pattern from Ravelry here. ​I then visited my LYS and bought some Stylecraft aran with wool yarn in an 80/20% acrylic/wool mix in the colour Blackberry. I started knitting on 18th August, doing most of the knitting during the weekends. This was the first time I had used Knitpro Basix circular needles in birch wood. They are lovely to use and made a very satisfying noise when I used them. I should say that the pattern provides the option to knit a seamed version or a seamless. I decided to knit the sweater in the round so that I would have less seams to sew at the end. I did make some deviations from the pattern, I ripped back one less round for the collar as I found a bit too snug and I knit longer sleeves than stated in the pattern. Again I had to rip back my 1st sleeve as it was too tight using the needles suggested, plus I wasn’t enjoying knitting using the magic loop as I had to keep stopping and starting to push the stitches round. I bought some Prym Ergonomics DPNs online (I’ll do a product review in a future post) and these worked really well on the sleeves. 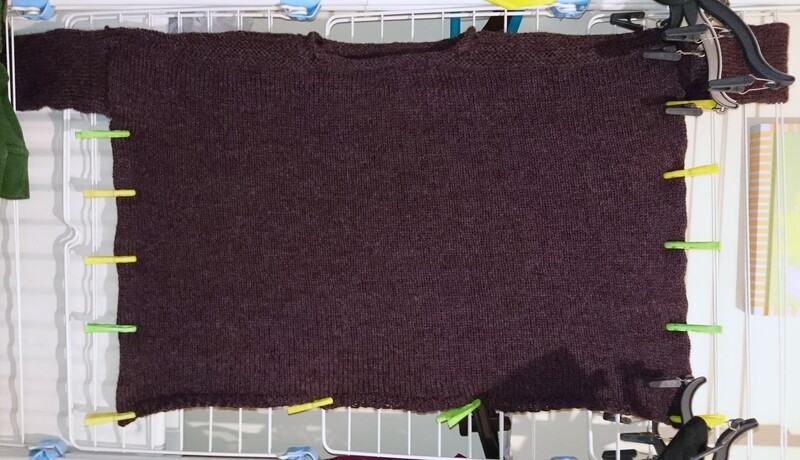 I finally finished the sweater on 2nd November, washed it and gave it a good blocking to stretch it out (I don’t have blocking mats so I improvised with a clothes dryer and many pegs). Yesterday I wore it out for the first time and got some photos taken of it. It’s a cosy sweater to wear although I do have issues with the hem rolling up during wear. Things I have learnt from knitting it. In future I will try and stick closely to using the suggested yarn in the pattern. My yarn doesn’t drape as well as the pattern. Not to be afraid to rip back if something niggles me when I try it on. I’m already having withdrawal from knitting and I’ve cast on another project, #imaddictedtoknitting. Very nice, I love the colour you chose. Jean, that looks adorable on you!! The color is lovely and you did a marvelous job knitting it. How do you try on projects with the knitting needles attached….LOL….you can see I’m not a knitter – at least not enough to do sweaters. I have crocheted clothing, however. Beautiful, and I’m looking forward to seeing what you’re doing next. Are you still doing your videos? I thought I subscribed, but haven’t noticed anything coming through email. Anyway, have a wonderful week, my friend. That’s a beautiful sweater! Gorgeous color on you! Thanks for your comment. 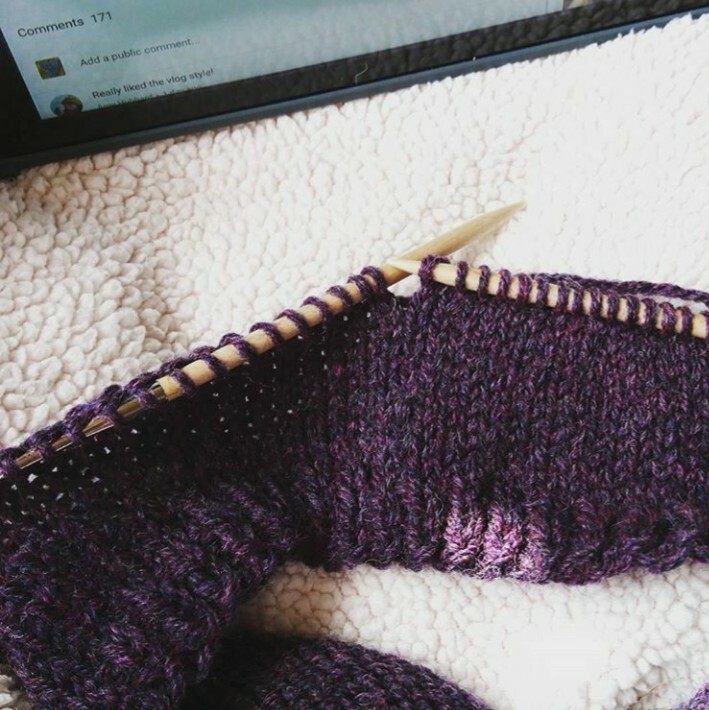 Ravelry is fantastic for patterns have you looked there to see what’s hot 🔥 right now?